The sheet has come off the fifth generation of the Seat Ibiza. It's got new looks, has grown a bit, and has plenty of tech. Seat has revealed its all-new 2017 Ibiza, ahead of its motor show debut at Geneva in March. 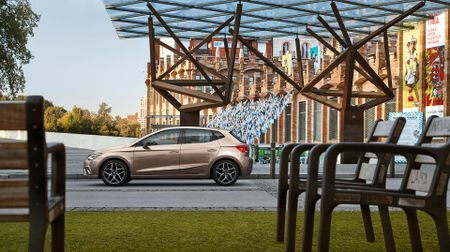 The fifth-generation Ibiza has shunned the three-door variant, and will now only be available as a five-door model. 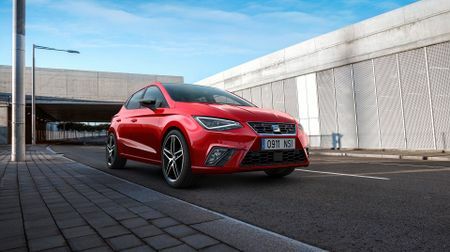 In creating this car, Seat has taken the design of the last Ibiza to a new level, with stronger lines and more defined angles all over the car. You can certainly notice the difference in size, too, between the previous generation and this one. At the front, there are new triangular full-LED headlights, and some interesting new daytime lights. The front and rear overhangs are really short, which gives the car a sporty, stable, planted look. The new wheels, which are available up to 18-inches in size, and in two tones, fit the car considerably better than the small 14-inch steel wheels in the lower trims on the previous model. At the rear, the lights wrap around the car and fit in with the rear blisters. And, there are yet more strong lines and prominent bumpers here, too. Compared to the previous model, the all-new Ibiza is considerably roomier on the inside. It’s 87mm wider, the wheelbase is 60mm longer at the front axle, 48mm at the rear axle, and there’s a 95mm increase in distance between the axles, bringing it up to 2,564mm in total. 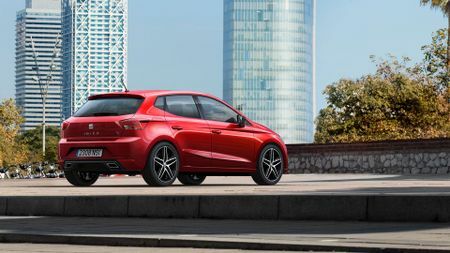 The previous-generation Ibiza struggled considerably on legroom in the back seats, but in the new car, this has been increased by 35mm, and headroom is up by 24mm in the front, and 17mm in the rear. The seats are 42mm wider, too, and the boot size has been upped by 63 litres, bringing its capacity up to 355 litres. This puts the new Ibiza ahead of rivals including the Renault Clio, Vauxhall Corsa and Ford Fiesta. And, as well as increasing the size, Seat has lowered the loading height, to make it easier when you’re lifting in bulky objects. On the dashboard, there’s an eight-inch touch-screen, and a wireless charger with GSM amplifier (signal booster). Of course, there’s Apple Car Play, Android Auto and Mirror Link connection too. And continuing the trend for partnering up with audio companies, the new Ibiza features a Beats sound system, with seven premium speakers and an eight-channel with 300W amplifier. Seat says the interior is also protected by an Air Care filter, which isolates all occupants from any type of allergens, creating a completely contaminant-free space. There’s loads of safety tech on offer, including Front Assist, Adaptive Cruise Control, Keyless Entry, front and rear parking sensors, and a new rear-view camera. While these are more commonplace on more premium cars, they are still relatively unusual in this class. Seat is offering three petrol engines in the new Seat. The first is the three-cylinder 1.0-litre TSI (with 94 or 113bhp), with a turbo-compressor, inter-cooler and direction injection. Also available is a new EVO 1.5-litre four-cylinder TSI unit with 148bhp. Diesel wise, in the UK, Seat is offering a 1.6-litre TDI engine with 79 or 94bhp. A five-speed manual gearbox will come with any engine that’s 94bhp or lower, with a six-speed gearbox for the more powerful engines. And there’s a seven-speed dual-clutch DSG-automatic gearbox on offer too. 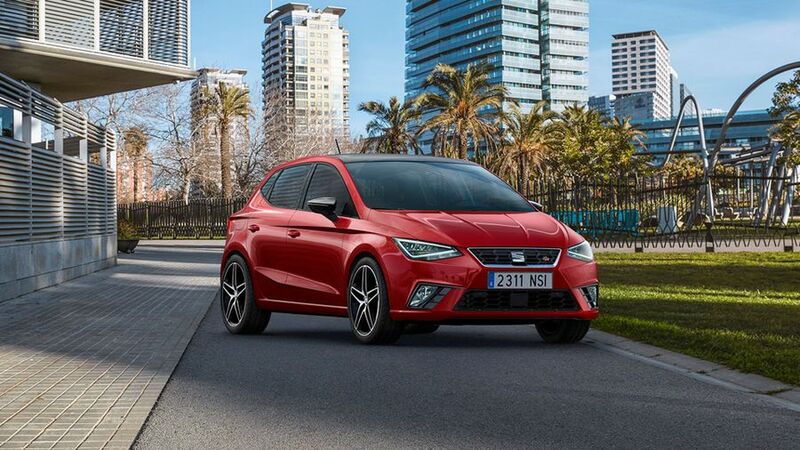 At launch in the UK, the Ibiza will be offered in four trim levels: S, SE, FR, and Xcellence. The FR trim focuses on technology and dynamic options, and it has its own design elements, including a rear diffuser, front bumper and exterior black pack, and sports suspension. It also offers four driving settings: comfort, eco, sport and individual. The Xcellence trim meanwhile is focused on comfort and elegance. 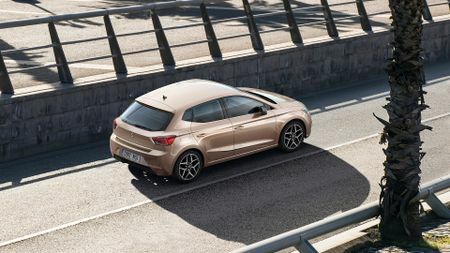 The all-new Seat Ibiza will be available in UK showrooms in July. Pricing has not yet been revealed, but we’ll keep you updated as soon as we hear more. The previous-generation five-door Ibiza range was available from just short of £13,000, but we expect prices for the new model will likely start a bit higher than this. Interested in buying a SEAT Ibiza?